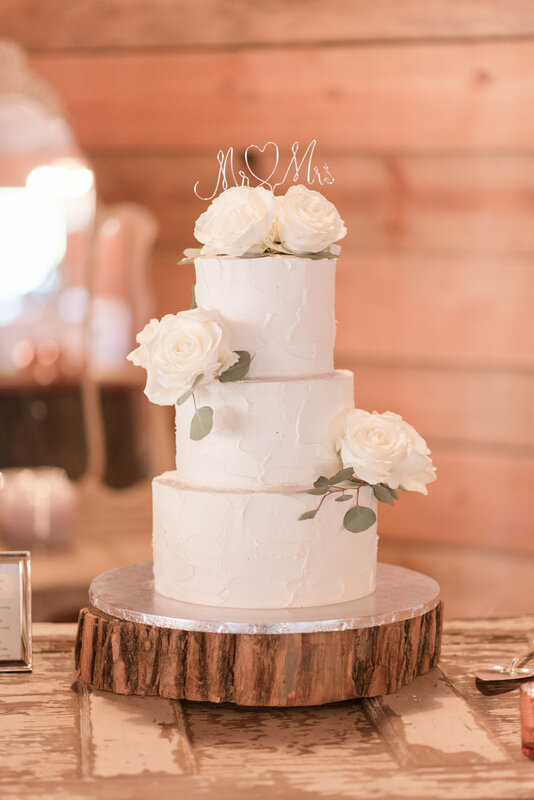 It was a beautiful morning out at 9 Oaks Farm when I arrived to work with Haley and Chris on their wedding day! Haley and her girls were hanging out and dressing in the gorgeous “White House” on the property. She had picked beautiful colors that complemented the surroundings—lush greens, soft blues and greens. 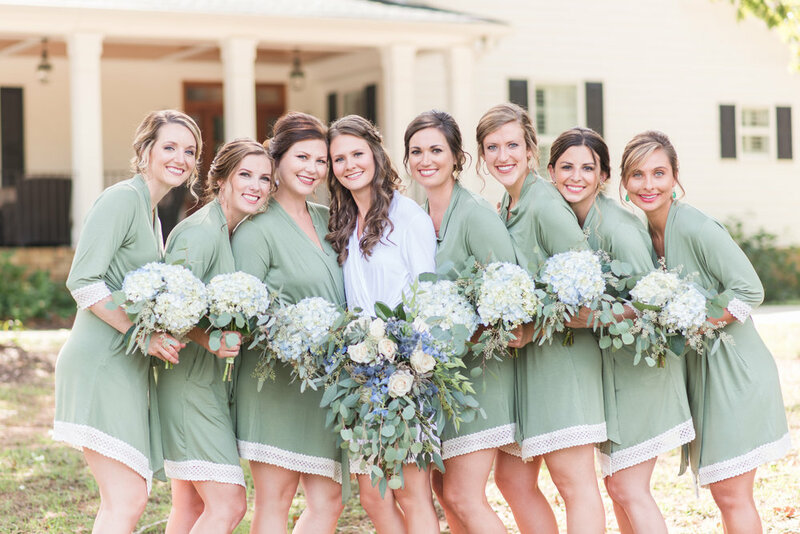 Her sweet bridesmaids were wrapped in silky sage green robes trimmed with lace, and Haley was enjoying a mimosa dressed in a white robe. 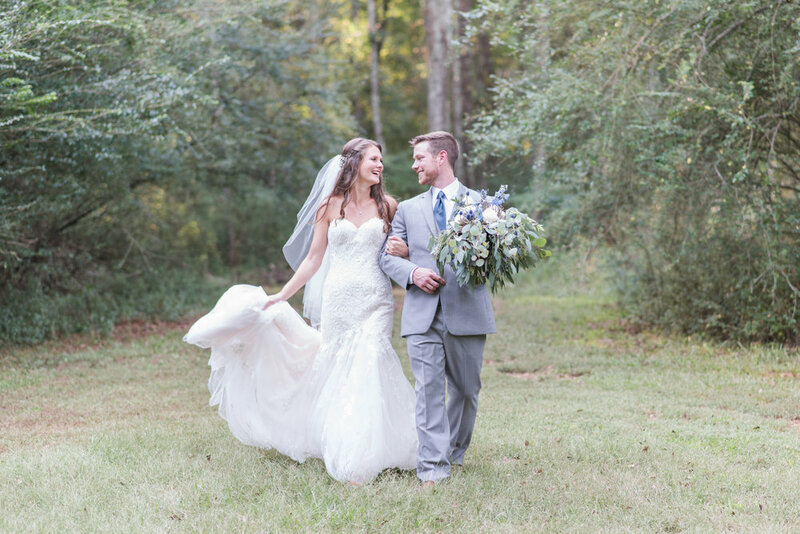 Her details were just breathtaking—especially her stunning bouquet! 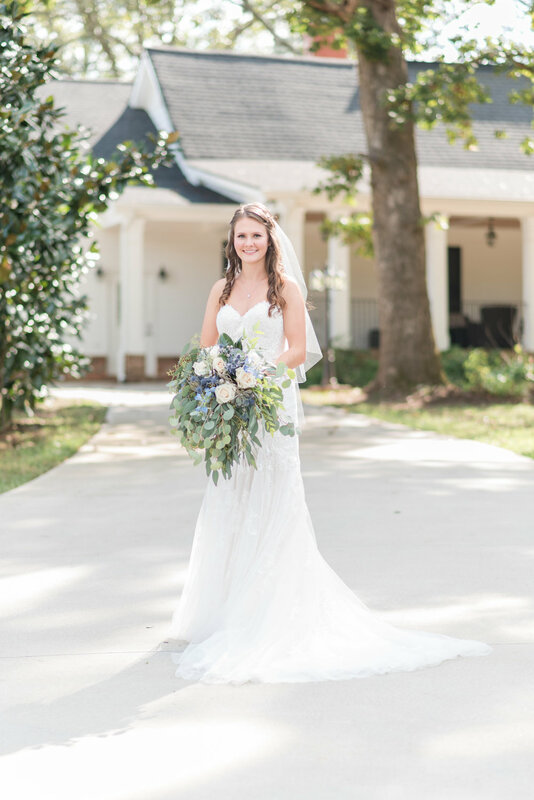 White roses and succulents were nestled into the bouquet amid blue accent flowers and surrounded by cascading seeded eucalyptus—definitely one of the most gorgeous bouquets I’ve seen! After shooting her details, I hung out with Chris and his groomsmen for their portraits on the backside of the property. As we walked down a gravel path, the guys spied a swing. They jokingly suggested we should get some photos of them swinging Chris, and I was down for anything! This group of guys was so much fun to work with and we had a great time hanging out. Haley’s mother-in-law and mother were so sweet—they both had a few private moments with her to give her gifts. Chris’s mother gave her diamond earrings from Chris, and Haley’s mother gifted her with a beautiful diamond necklace. They were such sweet moments to capture! 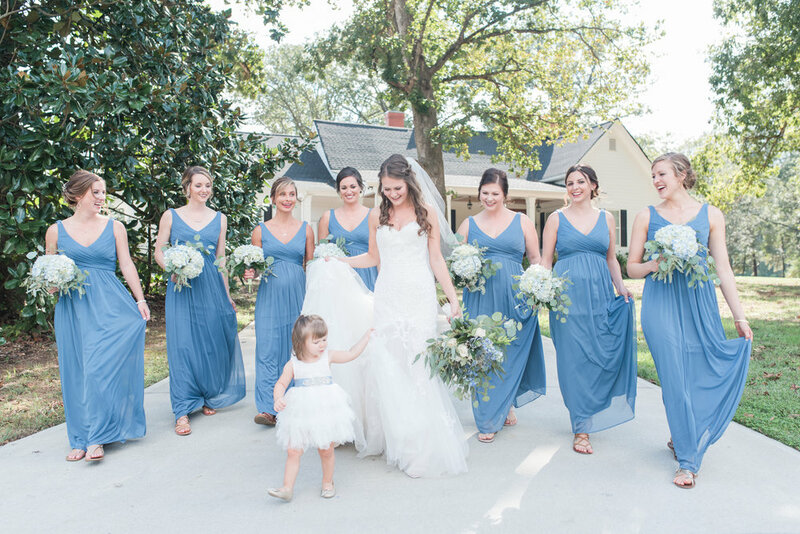 Following the gifts, the girls shared some laughs in their gorgeous robes outside in the sunlight, and then Haley’s mom helped her into her stunning gown. 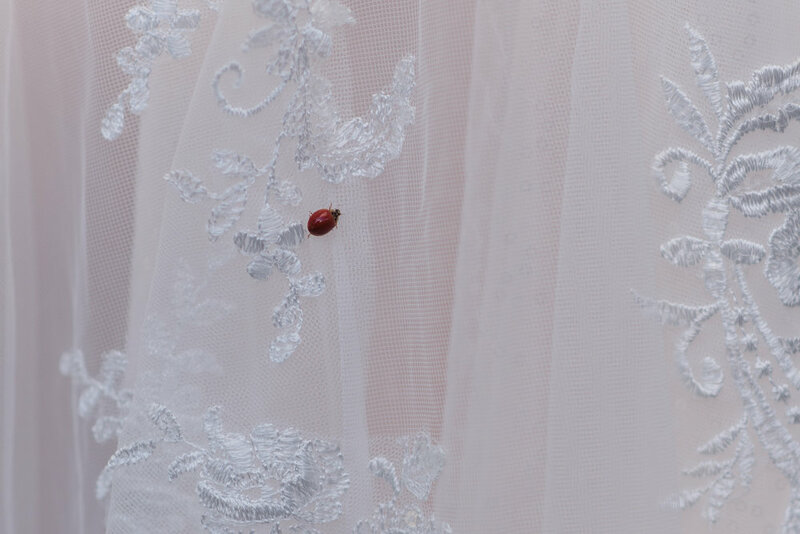 Haley had a first look with her dad, after which they shared a good old-fashioned bottle of coke—and before shooting her bridal portraits we found a ladybug on her gown! (Definitely good luck!) The sweet flower girl took her job of helping Haley hold her dress up very seriously, and these gorgeous girls were just so sweet and awesome to work with! 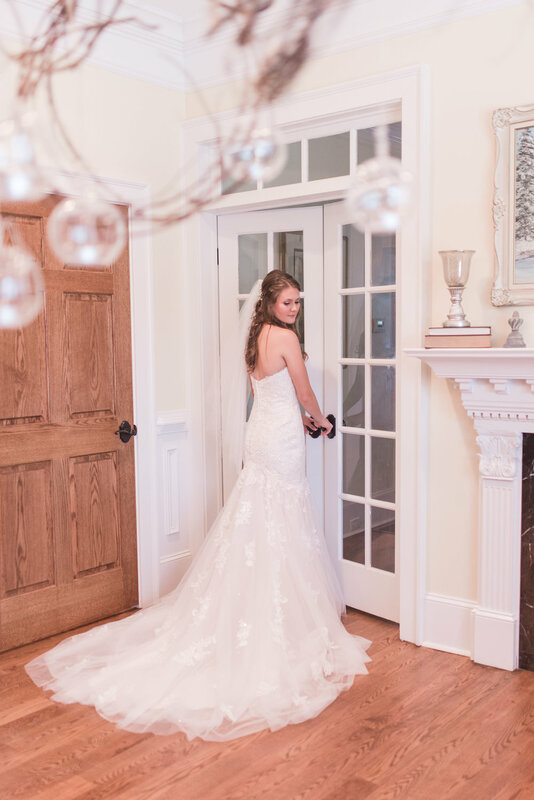 As Haley walked down the aisle, one of my favorite images was the photo I snapped of her smiling at her husband-to-be while her father gazed lovingly at her. It was just such a real, genuine image and I’m pretty sure this will always be one of my favorite ceremony images. 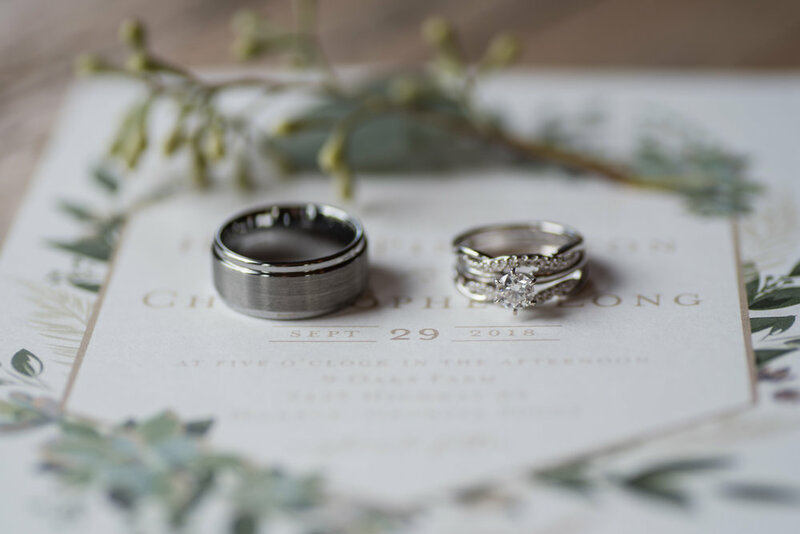 The ceremony itself was beautiful and God-centered with an offering for everyone attending the wedding to partake in communion. Chris and Haley officially became Mr. and Mrs. and on the way down the aisle, Chris dipped his gorgeous bride for a kiss! 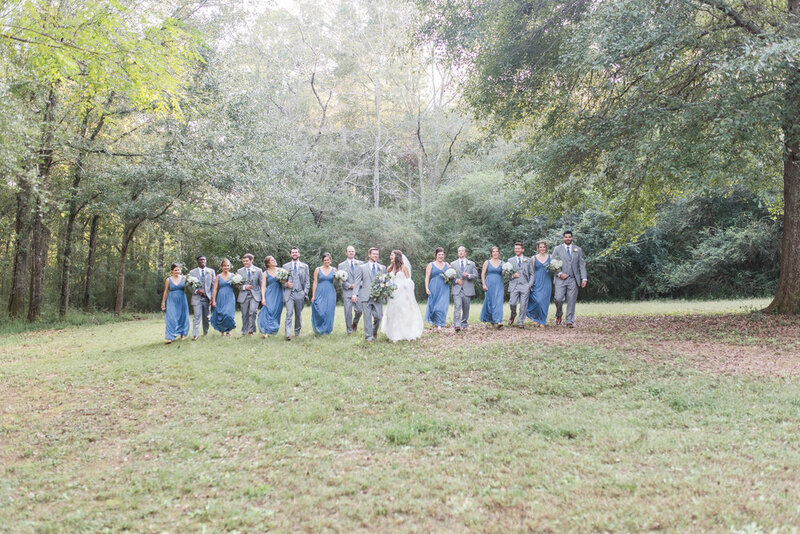 We shot family formals in front of the red bridge, and traipsed down to an open field for bridal party shots. A few minutes into shooting Haley and Chris’s portraits, we got a 15 minute warning so we had to work fast to get everything in for both the photos and the videographer who was there. Haley and Chris were incredibly sweet and it was so evident they were crazy about one another. They both have such calm, sweet personalities and were an absolute joy to work with. 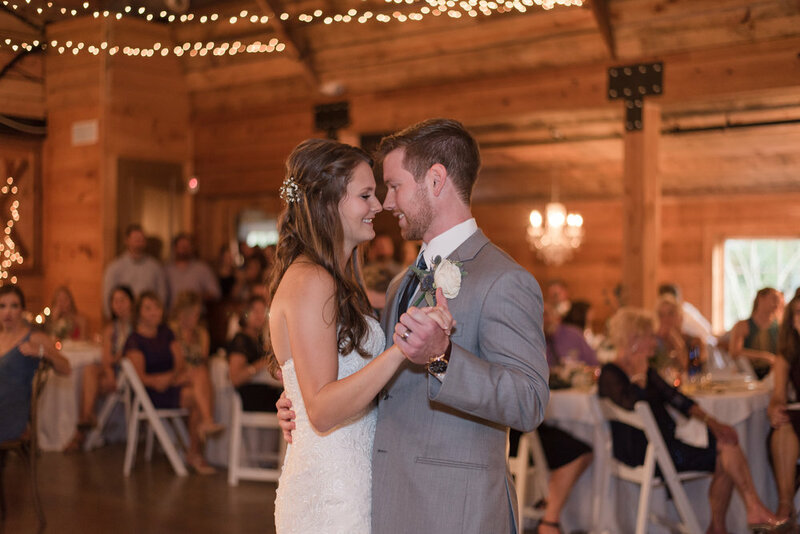 After all the photos were taken, Haley and Chris had a few private moments in the bridal suite to grab a quick bite while her guests finished cocktail hour, and then the bridal party was introduced, the guests ate an amazing dinner, and the couple danced the night away. Ya’ll—one of my favorite parts of the reception was when Chris’s grandmother, who just turned 92, was coaxed out on the dance floor! What an amazing woman! She was grinning the entire time—it was so fun to watch! Their send off, sparklers with a brilliant firework show, was the perfect closing of an amazing day. I am so excited for this sweet couple as they begin their lives together—congratulations Chris and Haley, and may God bless your marriage!